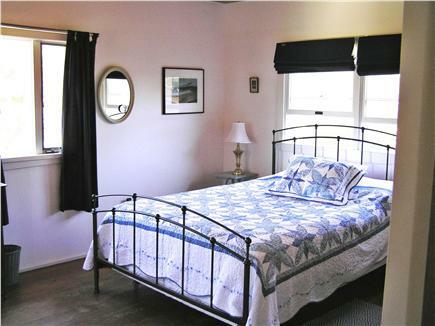 Enjoy one of the Chequessett Inn's original Bluff cottage's built in the early 1900's on Mayo Beach by Captain L.D. Baker. 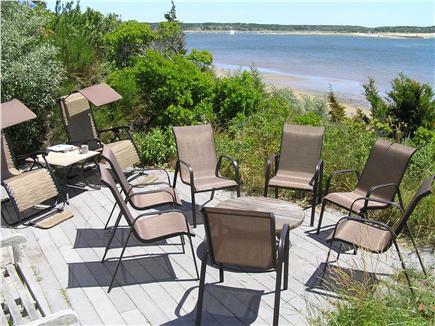 This beautiful large waterfront cottage has panoramic views of Wellfleet Harbor stretching all the way across to the Cape Cod National Seashore's Great Island. In the evening, enjoy a beautiful scene of the sun setting in the far west on the patio just below the wrap-around porch. Avoid the hassle of driving to crowded beaches by walking down the steps to the private Mayo Beach below and bask in the afternoon sun. Additional availability info: September October %50 Off no crowds and more peaceful. This is a Sunday to Sunday vacation rental. Our family gathered together at this incredible beach house for a wonderful week of ocean magic. 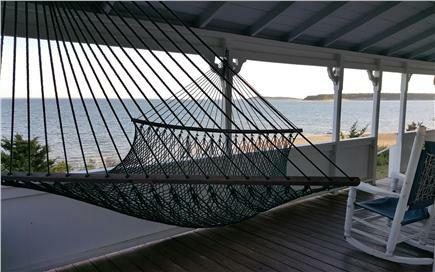 The stunning views from the porch, the great kitchen, the sleeping porch, the deck, the spacious and comfortable living area and the ocean itself combined to make our time together more wonderful than we imagined possible. This is the greatest spot, the best home, ever. The owners could not be more gracious. We all look forward to next season! 7 adults, 7 kids, 7 amazing days with the crabs and the tides and the waves and the sun and the stars. We felt so at home we couldn't believe we had to leave at the end and give up our place to some one else. Our family ( three kids ages 10, 8, and4 with my sister's family)have been going here vacation for the last 8 years. It's a magical place! We find ourselves thinking about it all year long. Beautiful setting, magical sunsets and sunrises, a private beach, cozy house a bike ride from downtown Wellfleet and surrounding beaches. What more could you want?